Lovely straight sided mug with main pattern around the body and border pattern around the inside rim and along the line of the handle. 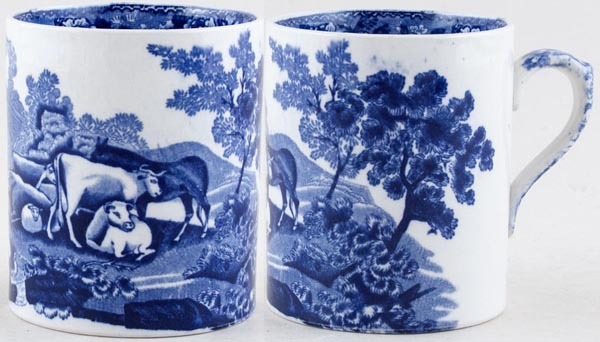 Backstamp: Adams Est 1657 Cattle Scenery England. Light all over crazing with little minor wear to the rim, a little minor discolouration and a discreet firing fault running horizontally towards part of the base. Sounds much worse than it looks.